On Sunday evening, June 17, at 10:30 p.m., Texas Governor Rick Perry filed a veto on the Texas racing industry's bill, House Bill No. 2484. Though the bill was a disappointing blow to the efforts of the industry and the TRAC organization, much progress was made at the capital on behalf of our industry during the 2001 legislative session, and that progress along with the united front shown by our industry during the session is a promising sign for the future. House Bill No. 2484 would have reallocated the money generated from cross-species simulcasting thereby providing a much larger portion of the money for horse purses. "This bill would have created a scenario whereby horse purses would earn the equivalent share of money as they do on regular horse simulcasting," stated Tommy Azopardi, Executive Director of the Texas Horsemen's Partnership. In the final hours of the Texas legislative session, an amendment was added to House Bill No. 2484 concerning the regulation of certain "legal" machines which are allowed at race tracks. Both the Texas House of Representatives and the Texas Senate passed House Bill No. 2484 in its final form. Additionally, Lt. Governor Bill Ratliff and Speaker of the House James E. "Pete" Laney were supportive in the horse racing industry's efforts to get the bill passed. 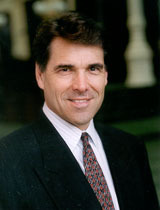 Under Texas law, Governor Perry had until midnight on Sunday, June 17, to either sign pending bills or veto them before they automatically became law. The Governor's office had raised some concerns earlier in the week regarding the language about new "legal" games at the track. Joe Straus, Jr. of Retama Park and others visited with Governor Perry and his staff, and the meetings seemed to have answered their questions to their satisfaction. At the conclusion of the meeting, comments were made that gave the indication that the bill would be signed. Instead, the Governor stunned everyone involved by vetoing House Bill No. 2484. In the proclamation issued vetoing the bill contained the following statement, "House Bill No. 2484 would authorize the Texas Racing Commission to regulate certain amusement machines, which could include illegal gambling devices. Such regulation is outside of the intended scope of the Texas Racing Commission. Enforcement should remain with the Department of Public Safety, local prosecutors, and the Office of the Attorney General." According to Azopardi, "There were hours and hours of work involved in getting all the interested parties to come together on these cross-species percentages. Getting the bill vetoed is really a setback to those that worked so hard to get it passed by the Legislature." However, Azopardi was encouraged by the way the Texas racing industry worked together during this legislative session. He commented, "While we are obviously disappointed by Governor Perry's veto, we have to be pleased as an industry at how well we all came together to find the best solutions to the problems our industry faces in regards to cross-species wagering and its regulation. We will just have to continue to work together to find another way to address these problems."